Before I had kids, getting dressed and out of the house on time was always such a breeze. But after having a family, I felt like it always took so long, especially with a toddler. Between all the gear you have to pack to organizing a diaper bag, it can become a long and drawn out process. 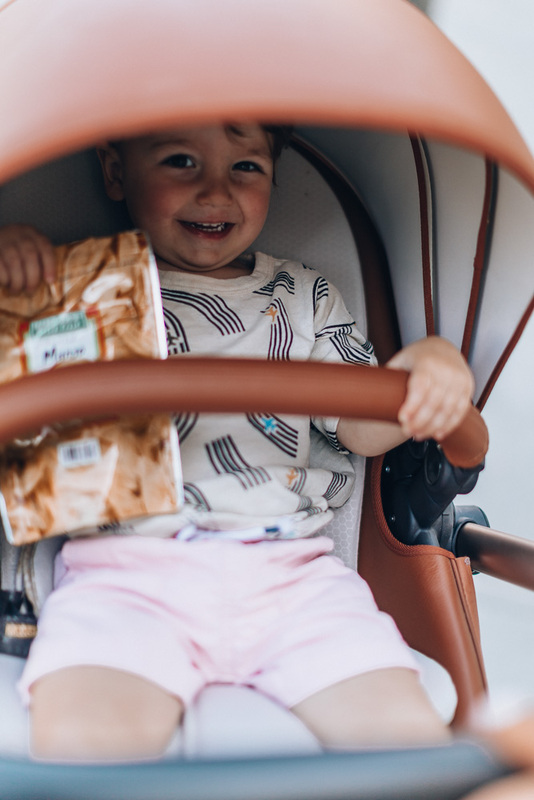 Having completed one full round with Sutton and working on my second with Greyson, I wanted to share some of my tips on how to get out the door faster for any mamas out there. I’m such a big believer in prearranging your clothes when you can – and opting for easy outfits that require less thought. Some of the throw on and go pieces I rely on for myself are jumpsuits, casual dresses, and athleisure wear. On days, I want to look more pulled together, I love chic jumpsuits like this one here, which I recently grabbed from Nordstrom. The earthy tone and ruffle straps are perfect for spring. I love that I can style it with sneakers, chic slides, or woven mules. I’m sure every mom knows this, but pack the diaper bag ahead of time so that it’s ready to go. With Sutton, I had such a bad habit of overpacking, so I’m glad I’ve got it figured out with Greyson. Rather than packing a bag full of outfits and snacks, I now just stick to a single change of clothes plus the usual wipes, diapers, and a toy. I’m not super strict with routines, but I’ve found that it can be super helpful for kids to get into a rhythm that they can follow independently. One of those systems in our house starts with our outfits. I’ve learned that when kids like something, they’ll get it done faster. Greyson loves airplanes so this graphic tee entices him to get dressed. I also love these slip on shoes since he can easily get them on by himself! Spring mornings can be cold so I layered him up with this super cute pullover. 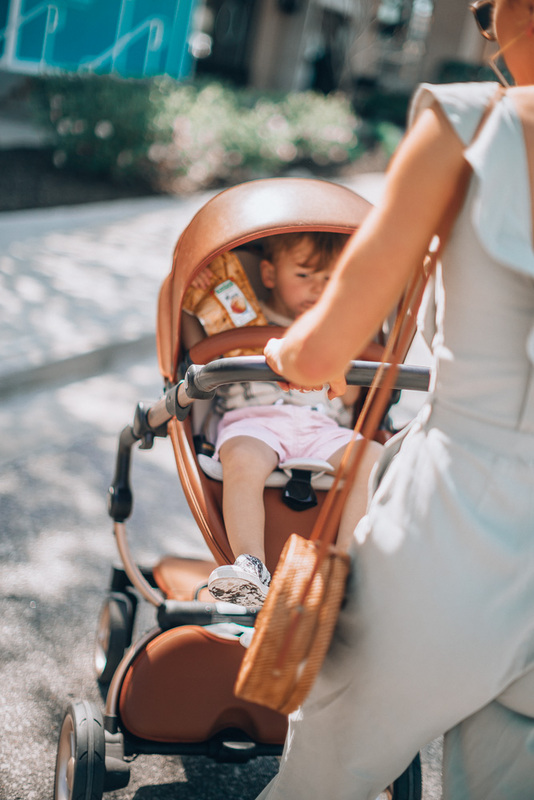 Strollers can get so expensive, but they can be 100% worth the investment. 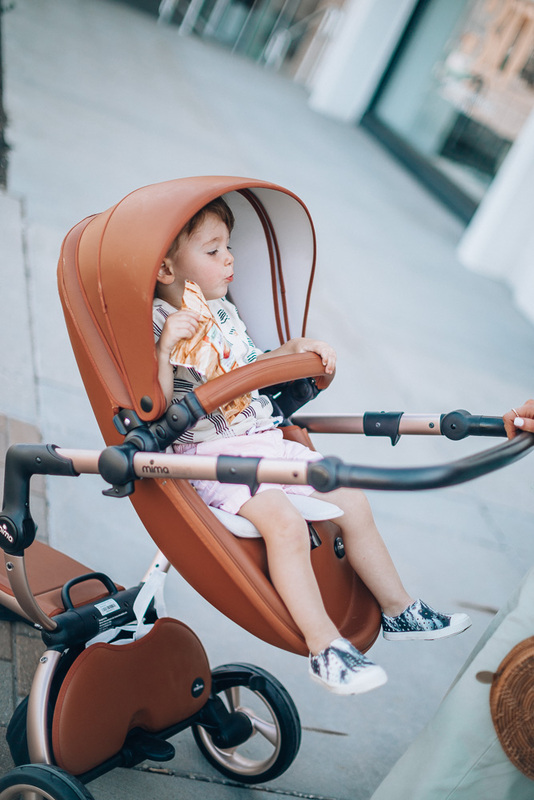 This Mima stroller completely changed my life because it’s so easy maneuver and folds down so easily. Every second counts when you’re a mom! Plus, I love how the unique, catchy design doesn’t compromise on style. I’ve probably mentioned this countless times now, but I can’t stress how important waking up an hour earlier is. I wasn’t always an early riser, but you can really train yourself to be one. An easy trick to do this is by waking up at the same time everyday as this will condition your body and regulate your sleep patterns. I hope you guys found that helpful! If you have any tricks you swear by for getting out faster, share them in the comments below!